Uprising – a dedicated club environment for emerging & lateral sounds – welcomes a resident of Golden Pudel – Phuong Dan. Warmup and closing by local finest Møreti and Raphael Kosmos. Phuong Dan is a resident dj in the famed Golden Pudel club in Hamburg – an open minded club environment that artists such as Helena Hauff originally come from – where he runs the Gatto Musculoso party. As a true record digger P.D. ties together musical genres and sonic eras and has become known to deliver wild selection of hidden treasures that would otherwise hardly make it to the dancefloors of today. 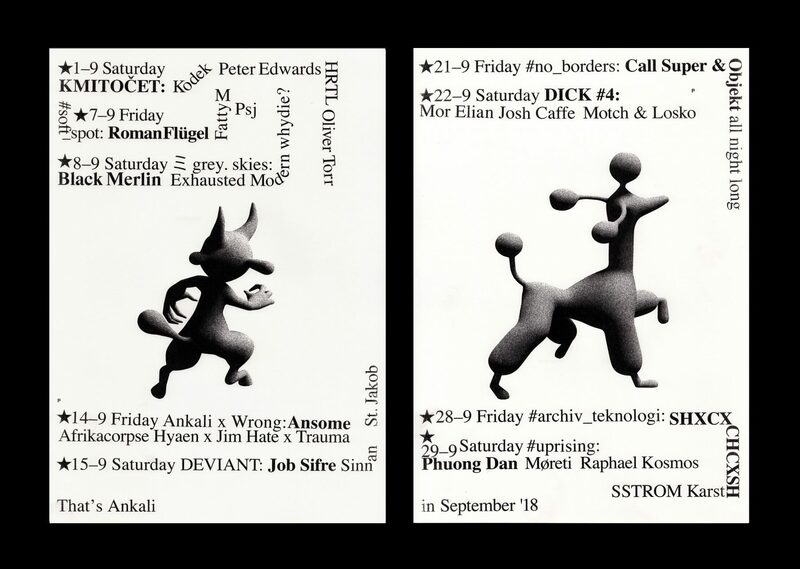 Also on the bill is Møreti, a resident at Ankali whose versatility has been proven by the singular reputation among the local audience. Wrapping up the lineup is Raphael Kosmos, a co-founder of Endless Illusion who will lure you into the sonic waters of acidic Electro and beyond.